So it’s reassuring to know that Epworth is home to two exceptional emergency departments that are fast, easily accessed, superbly equipped and staffed by highly skilled professionals. The ED at Epworth Richmond treats more patients than any other private ED in Victoria, while demand for Epworth Geelong’s ED is growing. If you arrive with serious injuries or in need of emergency treatment, you can be sure you are in safe hands. Across Victoria, demand for emergency care is increasing, and Epworth provides an essential service to more than 29,000 people each year, 24 hours a day, seven days a week. Dr Ron Sultana is the Director of Emergency Medicine at Richmond and is proud of the services his team offers. Just like major public emergency departments, Epworth features fast-track and resuscitation services as well as on-site x-ray and CT scanning. “If you think you need emergency assistance, please call 000,” Dr Sultana says. If you’re preparing to visit an emergency department, you can check the Epworth’s up to date wait times on our website here. When arriving at one of our EDs, a triage nurse will meet you, take a brief history and will perform an examination. Once assessed, you will be seen by nurses and doctors who will conduct investigations and offer a diagnosis. If you have an acute, but easily treated injury, you may be offered a fast-track treatment chair, ensuring you are treated without delay. 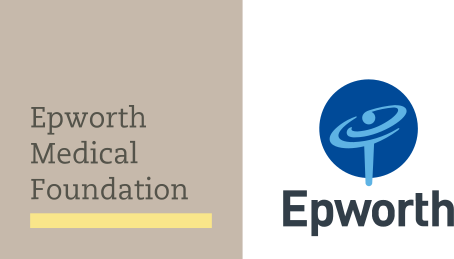 Epworth is a private not-for-profit hospital with charitable status. As with all private EDs, there will be out-of-pocket costs associated with your treatment, and we try to keep these to a minimum. Please know that the fees contribute to the efficient running of the department, ensuring a premium service. A significant feature of Epworth ED’s is the reduced waiting time for patients. Also, following treatment, patient satisfaction scores are consistently above 90 points (out of 100). Experienced team members in our EDs are involved in teaching and research programs, ensuring our team remain at the forefront of the latest medical treatments, while sharing their knowledge with others. We’re accredited for emergency training by the Australasian College for Emergency Medicine.